I’m late to the party but that is how we roll. It’s been a CRAZY December and the 1 year we had 90% of our Christmas Decorations up the first week of December we almost had to take them ALL DOWN for pest control. 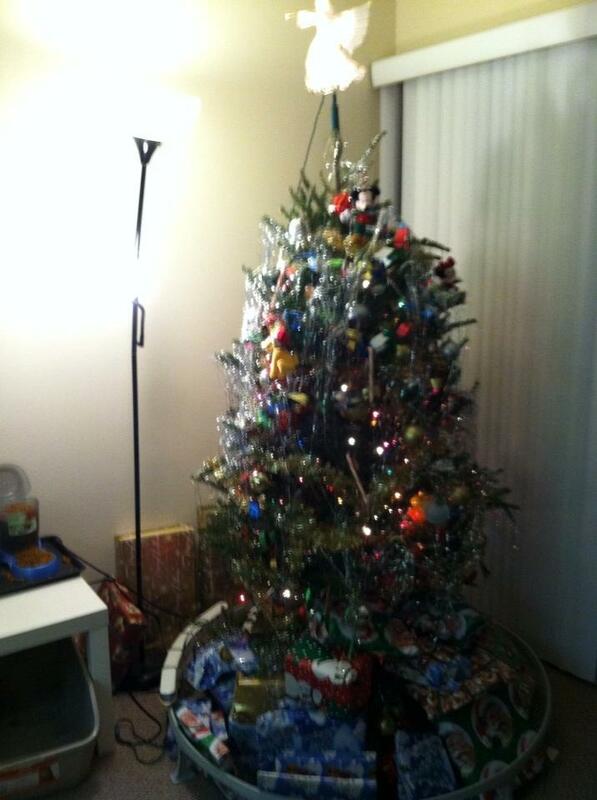 Thankfully we were able to keep a lot of it intact. 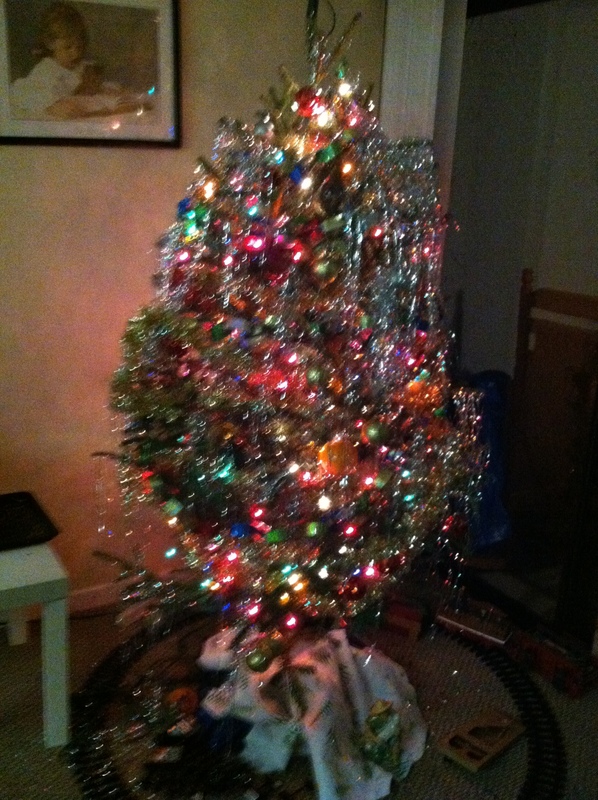 This year we got a real tree. We founnd a great deal for $20 at a little tree stand we passed one weekend while running errands. Here is my advent wreath. We got the base at Michaels and found some pretty decor to glue onto it. Then the candles came from Hobby Lobby. One of my favorite Christmas Decorations is the Nativity. 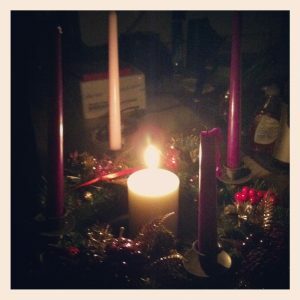 I like to move the different pieces throughout the house throughout Advent (although they are all together for this picture). You mean you don’t have a cat in your manger? 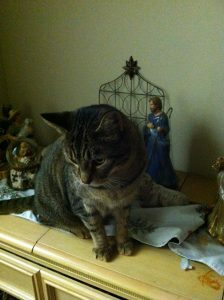 Pierre aka Agent P used to sit on this shelf all the time before baby Jesus stole his spot. He has revolted by sitting in front of baby jesus anyway. It’s okay because there were Tabby cats in the Manger. That is how they got their M 😉 don’t believe me? We found it on wikipedia. That means it has to be true! 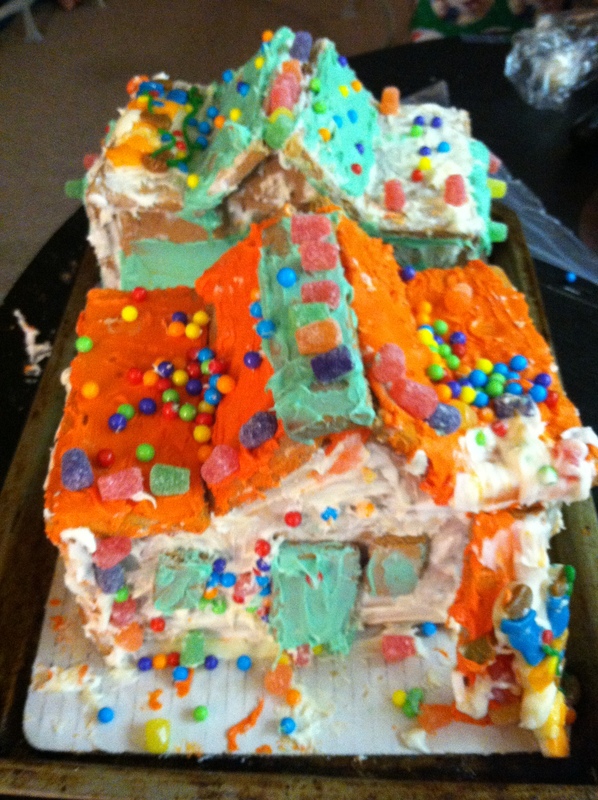 Last but not least this year my sister decided it would be “fun” to make Gingerbread houses. On Black Friday Home Depot had these cute kits on sale for $8 so I bought 2 of them and last night we decided to make them. Here is what we came up with. 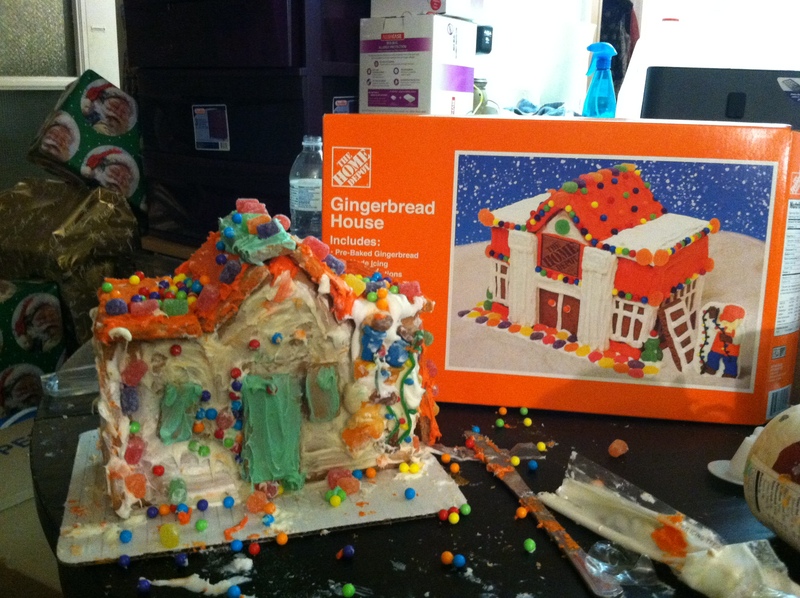 I feel like a #PinterestFailed experiment. I think our Gingerbread Houses have “Character.” In the end all it matters is we had fun making them and we learned not to eat the candy/icing that comes with the houses because it gives you a tummy ache. 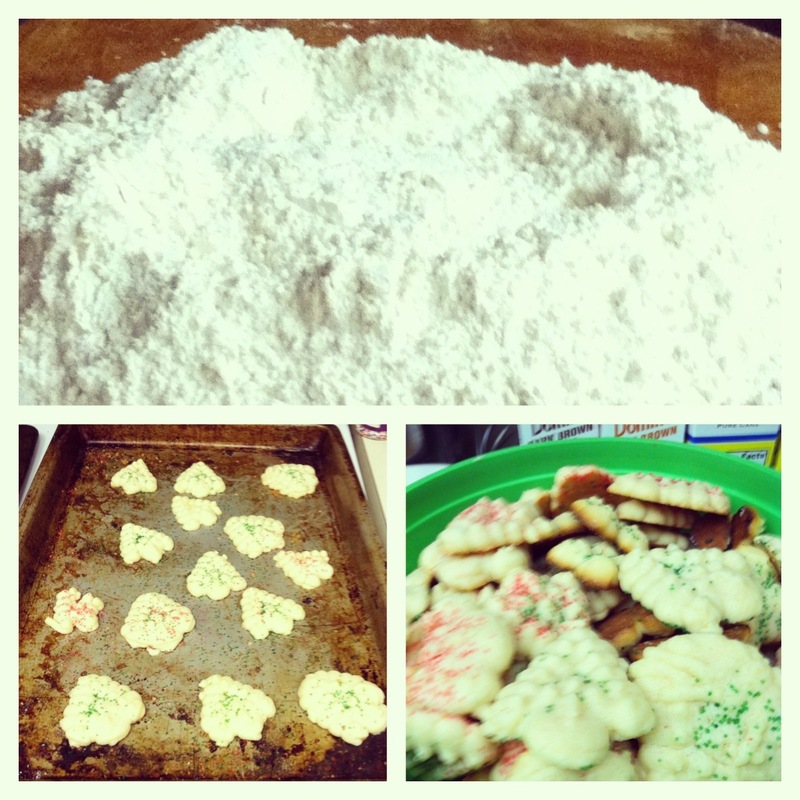 One of my favorite parts of Christmas is all the baking we do. This year we made butter cookies, Italian Cookies, and Homemade Raviolis (for Christmas Dinner). We always have a lot of fun making everything and this year I even bought an awesome electric cookie gun that made making the butter cookies SUPER EASY plus I didn’t waste as much dough as I usually do! Winning!! Hope you enjoyed a tour of our Christmas Decor here are some other random christmas photos I have found over the past month. Christmas Tree Sculpted Butter – Because it isn’t Christmas without it! 2 weeks ago I headed down to Disney for my last trip until I can afford to pay for an annual pass again. Hopefully by 2014 or 2015 we’ll get to go back. But Disney does an AWESOME job at decorating for the holidays. 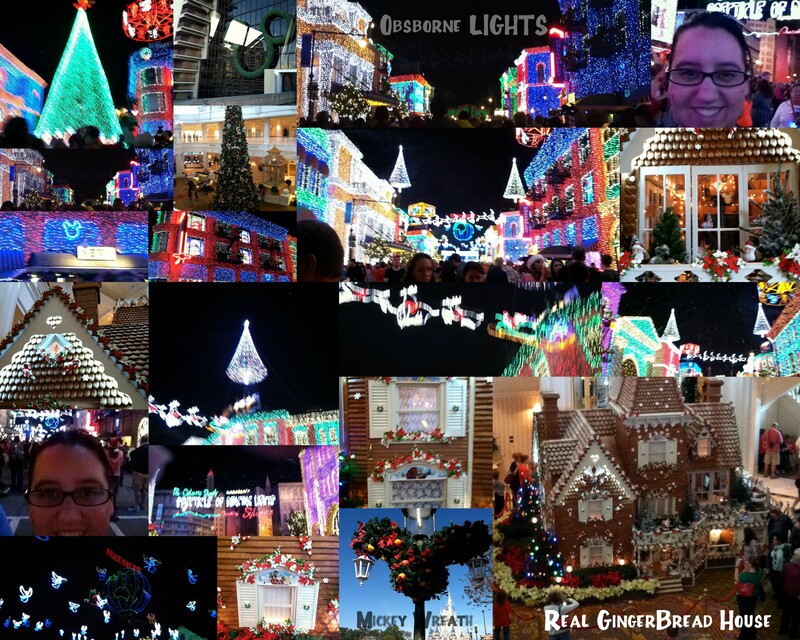 Here is a collage of some of the photos I took. 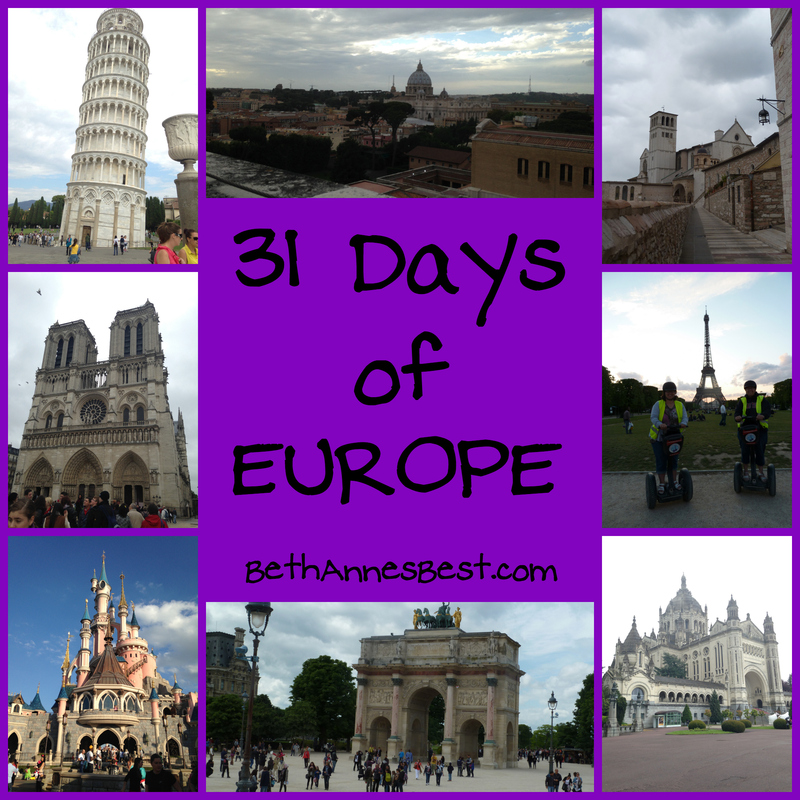 WARNING: Not responsible for the seizures this video may cause. Another show we saw was the Candlelight Processional in Epcot. This was the most beautiful show I have ever seen. They have choirs sing Christmas songs in between sections of the bible reading of the Christmas Story. Here is a youtube video of the full show. It is rather long but really beautiful. Oh my gosh, the cat part had me laughing so hard!!! Love the monorail! Ah! 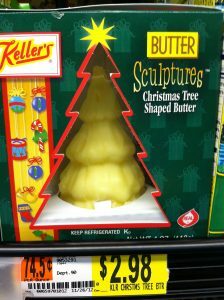 I can’t get over the Christmas tree butter!!! I have never seen that before! What kind of weird people *don’t* have cats in their mangers?!?!?!?!?! ?